So look at the label. “Ireland Beer”. Green background. Some Celtic castles that look suspiciously like the Dublin coat of arms. 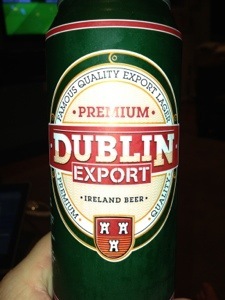 “Dublin Export”. But, I don’t think this beer has anywhere near Ireland, let alone Dublin. It’s made by “Corbelli Wines”, the Dublin coat of arms is normally portrayed on a blue background, and there is no indication that this beer is specifically made in Ireland. 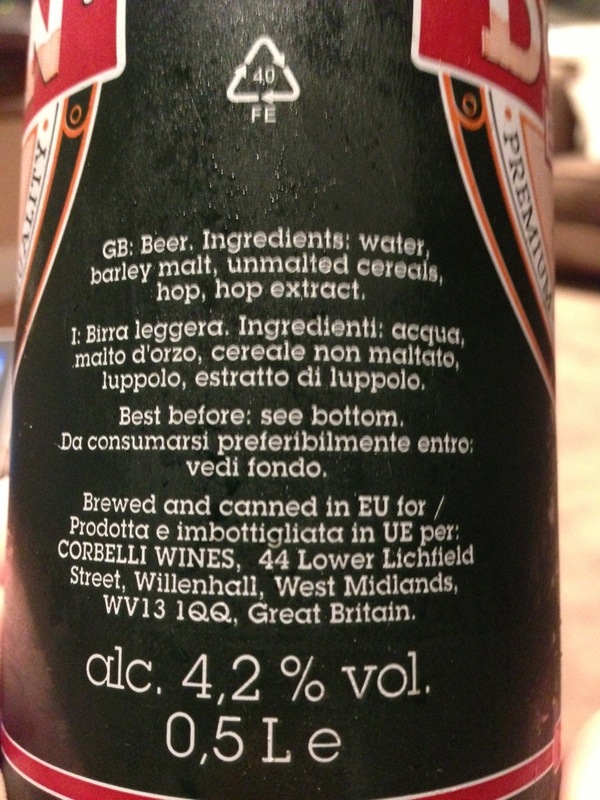 Yep, I think it is made in the EU, but Corbelli comes from the West Midlands! which is even more confusing. One to avoid. Dubious origins and crap beer.